Like the age-old advice to not run with scissors in your hand, or to look both ways before crossing the road, adding alt text to the images in your email just makes good sense. With most email clients blocking images by default, it’s the alt text that your readers will often see instead. This makes it a really simple and effective way to help overcome the impacts of image blocking so that your emails get read and clicked. 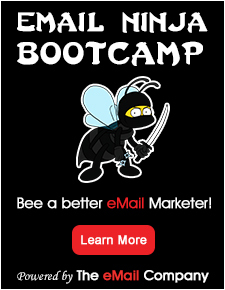 Unfortunately, most email marketers think of alt text as an afterthought and just write a description of the image. And that’s fine in some cases, but it’s hardly going to inspire readers to load the images and view the email in all it’s glory. I think your alt text deserves more. 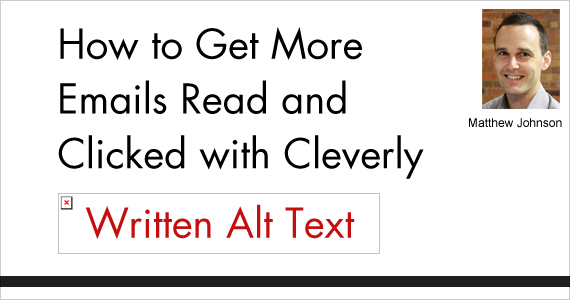 When done properly, cleverly written alt text can help create a positive brand impression with readers and lead towards more clicks on your image-based calls-to-action. Read on for 4 ideas for writing alt text that grabs your reader’s attention and prompts action. 1. Present the details of your offer. If you want readers to click on your image and find out more about your offer, then the alt text needs to give them a reason to do so. Take this image from Shoes of Prey for example. They could have easily just said “Jodie’s ultimate challenge” in their alt text. And that may have piqued the interest of some of their more loyal readers to load the image and find out more. But by adding on the “enter now to win 4 shoes for free” they’re providing benefit-oriented information. This is more likely to encourage readers to simply click on the image’s link, which is really what Shoes of Prey wants them to do. 2. Use action words that tell readers what to do. This is a great idea when your image is being used as your call-to-action and is a really simple way to increase your click rates. Say you have an image of a green button, for example, which readers need to click to access a free report. By using action words in the alt text like “Click to download free report,” you’re letting readers know exactly what they need to do even if they don’t load the images in your email. 3. Be different and grab attention. Whether you like it or not, most people quickly skim your emails to decide if they’re going to read them in full. But if you give them something unexpected in the email, then you might be able to get them to slow down for a second so that they pay more attention to your content. The image alt text is a perfect place to do this because most people are so used to seeing “descriptive” alt text, that when they see anything different it immediately gets their attention. And what better way to be different and grab attention than by adding some personality? Check out this email from Litmus where they took an image that represented an infographic and gave it a personality of it’s own by writing the alt text in the first person. Ok, I know I said earlier that this can be uninspiring, but there is actually a good time and place to be descriptive in your alt text. Suppose you have sponsors that you need to promote in your emails for example. Including their name in the alt text where their logos might otherwise display is a good way to keep them happy even if their logo isn’t seen by your readers. Takeaway: Next time you’re inserting an image into your email, take a moment to think of how you can capture your reader’s attention and prompt action with some creatively written alt text.